Does their medication need updating? Some falls can be caused by medications that are already insufficient for their conditions or causing them side effects. Ensure that you can review their current medications to their doctors to check if any of these need updating. Do they have blood pressure problems? Fainting or dizziness can be indicators of unhealthy blood pressure level. Your doctor will examine their blood pressure rate while they’re seated and standing. 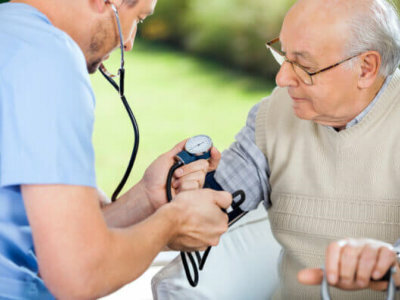 You have to be able to relay to their doctor any related information about their blood pressure, such as if they’re taking their medication or not. Is it a symptom of a new illness? Episodes of weakness or not feeling well can cause Granny to accidentally lose their balance and fall. Since their doctor can make a careful assessment of your loved one’s health, make sure to report to them whatever problem you’ve noticed prior to the incident. It may well be that their weakness already signals an incoming complication. Is their sense of balance still working? The doctor may also examine your loved one’s balancing ability when they walk. Ensure that you can ask them for practical interventions at home to maintain their balance, or getting physical therapists who can also provide Home Health Care in Vancouver, BC. Do they need vitamin D supplements? When your loved one’s vitamin D level is low, this can be a major factor for their fragile bone structure, leading to episodes or possible incidences of falls. When their doctor recommends vitamin D supplement, clarify about the right dosage they need to take daily. Do they have normal blood count? Your Granny’s doctor may require them to undergo blood tests as some falls can be caused by lower or higher blood counts. Keep in mind to ask their doctor if the information from their blood test is causing their fall or not. Do they have vision or mobility problems? Fall incidents among seniors can happen when they have issues about their eyesight or ability to move around. Make sure that you can also relay this information with your doctor so that they can recommend for important check-ups for Granny to do next. At Peachtacular Home Health Care, we help you maintain your elderly loved one’s overall well-being through our quality Home Care Services in Vancouver.